In partnership with GE Sustainable Healthcare Solutions, CAMTech launched The First Mile Innovation Challenge to improve global primary care with a focus on maternal and child health, cardiac health and safe surgery. CAMTech awarded Sisu Global Health $25k for developing health technologies that address critical needs in emerging markets. One of Sisu’s technologies, Hemafuse, is an auto-transfusion device that replaces donor blood in emergency situations. 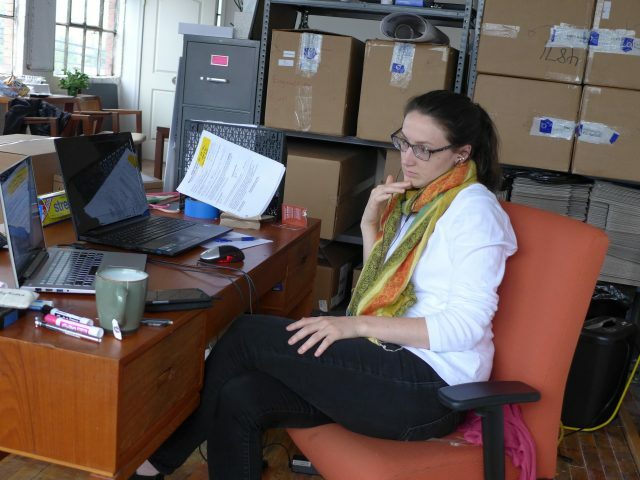 Katherine Kirsch, Chief Marketing Officer, offers a look inside Sisu Global Health while working at Impact Hub in Accra, Ghana. Sisu Global Health recently moved in their own office in Baltimore in early 2017. After working in a series of co-working and shared spaces, moving into and making our own office felt like a validating step as a startup. The location isn’t terribly glamorous and is above a mechanic shop, but offered lots of light and a place to really build a company culture. Company culture is immensely important to maintain morale and a quality working environment for the entire team. Our latest addition certainly helps: Rosie, the Golden Retriever and Chief Happiness Officer. The photos that follow are a pretty average day in the Sisu Office. 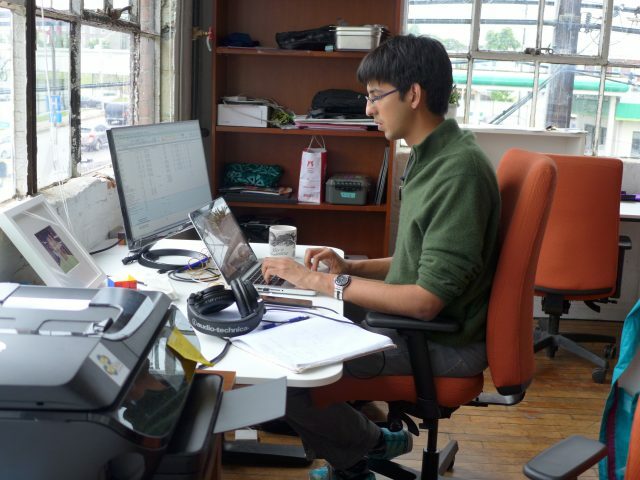 Mihir Sheth, Project Engineer, working away on possibly the most important tool to a startup: financial proforma spreadsheets. Everyone has a title, but we often end up doing a variety of activities outside of the title’s description. Carolyn Yarina, CEO, contemplating an email. The glamor of a startup knows few bounds. Rosie and her new friend came to visit the office to keep us company. These visitors help everyone’s happiness and offer healthy walk breaks each day. In mid-May, Sisu Global Health had the honor of hosting one of their investors, Futuretech, and a contingency from Changzhou and Tianning, China, who were interested in social impact ventures in the US. Carolyn Yarina, Sisu’s CEO, presented about the company and our future goals to the multi-lingual audience. Katherine Kirsch, Chief Marketing Officer, and Mihir Sheth, Project Engineer, also presented a hands-on demonstration of how Hemafuse might function in surgery. No one was hurt in the demonstration! We used fake blood made of Jell-O and food coloring to add simulation effects. 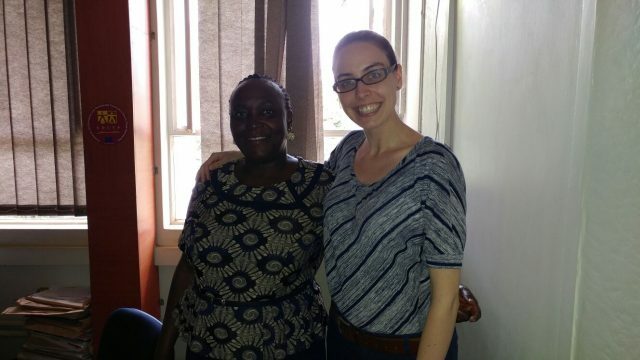 Gillian Henker, Sisu’s Chief Technology Officer, spent 10 days visiting hospitals in Uganda. Her goal was to determine future sites for Sisu Global Health to partner with and how best to navigate the Ugandan health system, including understanding costs of blood (Hemafuse’s primary competition), how donor blood and surgical costs are paid for and discovering Key Opinion Leaders for the product. 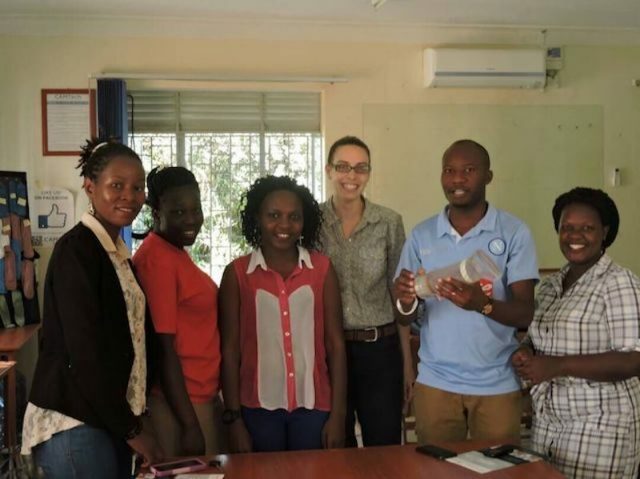 Gillian spent most of her time in Kampala but was happy to also visit CAMTech-supported Mbarara Hospital, a few hour’s drive outside the capital. 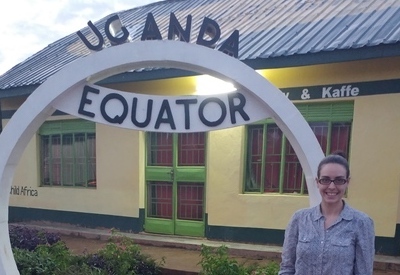 Gillian enjoyed meeting new clinicians and health workers in a new country and certainly enjoyed the Ugandan hospitality. On the way to Mbarara University, my taxi driver, Benedict, and I stopped along the way to see where the equator passes through Uganda. The typical tourist site for travelers along the way like a world’s largest ball of string. I met with CAMTech at Mbarara University and heard from several student groups about what technologies they were developing to launch in Uganda. I was able to visit the hospital and work out of their lab for the day among them. 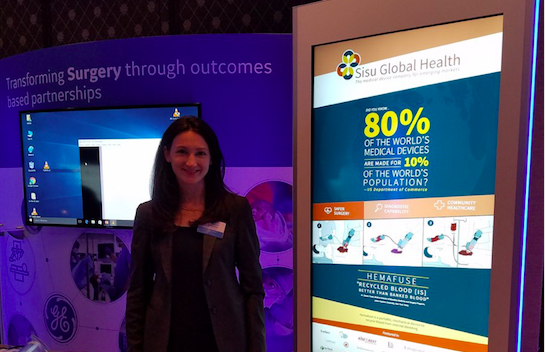 After winning the First Innovation Discovery Challenge, sponsors GE Healthcare and CAMTech invited Sisu Global Health to present at the World Health Assembly. The World Health Assembly is the largest World Health Organization gathering in Geneva with top government officials and health-focused decision makers on international health priorities. Safer surgery was a specific focus this year. Hemafuse, Sisu’s first product, enables access to a patient’s own blood during certain emergency surgery, and advocating for surgery in low-to-middle income countries is very important to us. Way to go Ladies and Gentlemen!! Very informative!! Keep on reaching out!! Congratulations on locating a permanent office space in Baltimore. Your article mentioning Uganda caught my eye, as my church supports some missionaries in Uganda and I have heard stories about the medical needs there. Your product could be a real blessing to the Ugandan people. Keep up the great work! Oh, and hello CEO Carolyn, my niece!